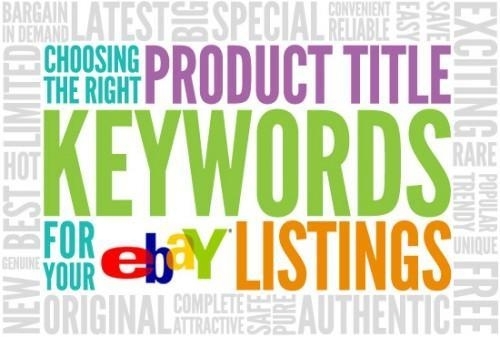 Increase your eBay sales by optimising your eBay listing titles! Did you know? If your product titles look strong enough they can even win an audience with prospective buyers over cheaper competitor listings! Once your products are found in search results, your product titles are the first point of contact between you and your prospective buyers, so it’s imperative that your listing titles look clean and professional to inspire buyer confidence required to earn those valuable clicks! When creating your product listings, consider what title structure your target audience would expect to see. Consider the readability, relevancy and professional look of the titles. The key to a professional store image is consistency; applying the same title format across all of your listings. This will improve the professional look of your store, helping to further increase buyer confidence. Whilst it’s important to use high volume search keywords, avoid using word variations multiple times in a listing title, this clutters the listings and reduces buyer confidence. Try to keep your titles clear and easy for buyers to scan and read, don’t use special characters or gimmicks. By ensuring you use relevant keywords in your product titles, your product listing will be included for searches on those keywords, in turn your product quality exposure will increase and therefore your sales potential! Ok great, but what about creating my keyword list? You need to first create a keyword opportunity list to identify which are most relevant; this basically means brainstorming as many relevant keyword ideas as possible and then prioritising. As a seller, you want to maximise your product search potential by including relevant keywords which have high volumes of searches. You have many tools available to you to help identify current keyword search volumes both on eBay and off eBay. Always take time to check the latest eBay policy guidelines, this will help to minimise potential sale interruptions whilst maximising on current listing opportunities. By following the above recommendations you will help to increase your product listings search exposure and buyer confidence; in turn you will increase your eBay sales potential and can start enjoying more sales!